Epilepsy is a neurological condition in which abnormal brain activity causes repeated seizures. Brain cells called neurons use electrical signals to control the body’s actions as well as a person’s feelings and thoughts. During a seizure, these signals get disrupted by a large burst of electrical activity, resulting in per iods of uncontrolled movement, unusual sensations and changes in awareness. There are several known causes of epilepsy although in 50% of cases the origin is unknown. Genetic factors can make a person more likely to develop epilepsy. In most cases, the genes involved are not fully understood. Damage to the brain as a result of traumatic head injuries, tumors or stroke can cause epilepsy. In the case of trauma to the head, it sometimes takes months or years after the incident for seizures to occur. Brain injury can also occur before birth for reasons such as lack of oxygen to the developing brain or infection in the mother during pregnancy. Infections affecting the brain such as tuberculosis, HIV and bacterial meningitis can also lead to epilepsy. There are several different types of seizure. People with epilepsy will have very different symptoms depending on the type of seizure they are having. Most seizures only last a few seconds or minutes. People who have "tonic clonic" usually lose consciousness and fall to the ground. Their muscles stiffen and their body jerks uncontrollably. Other types of seizures can have less dramatic symptoms such as twitching of the arms, legs or face. Some people with epilepsy lose awareness; they are described as “staring”, “blank” or “in a trance”. Seizures can cause strange feelings that are not noticeable to observers like flashing lights, an unpleasant taste, fear, anxiety or nausea. These feelings are referred to as an “aura”. Having a seizure can result in injury from falls as well as accidents while driving and swimming. Status epilepticus is a life-threatening condition in which a seizure lasts longer than 30 minutes or two or more seizures occur without regaining full consciousness between them. SUDEP is a sudden unexpected death in a person with epilepsy. The cause is unknown and the risk is generally low. A healthcare professional can provide further information about this condition. People with epilepsy may also experience depression or anxiety as a result of difficulty dealing with the condition. Having a seizure can lead to injury due to falls as well as accidents while driving and swimming. People with epilepsy may also experience depression or anxiety as a result of difficulties dealing with the condition. The goal of treatment is to control seizures and restore quality of life. Medicines used to treat epilepsy are called anticonvulsants, antiepileptic drugs or antiseizure drugs. Most people will have to try more than one medicine before they find one that works well without too many side effects. Others will need a combination of different medicines to achieve control. Surgery may be considered where epilepsy is caused by a limited region of abnormal brain tissue and treatment with medication has failed. Suitability for surgery depends on several factors specific to each patient as determined by an epilepsy specialist doctor. In VNS therapy, a battery powered medical device is implanted under the skin on the left side of the chest. This device sends electrical impulses to the brain to reduce seizures. VNS therapy is usually only considered where antiepileptic drugs have failed and the patient is unsuitable for surgery. The ketogenic diet consists of a high fat, adequate-protein and low-carbohydrate regimen which produces metabolic changes which have been linked to decreased seizure frequency in some cases. The exact mechanism by which this occurs is not fully understood. The ketogenic diet as treatment for epilepsy requires medical supervision and is generally only suitable for children. The cannabis plant contains many compounds which affect the human body in different ways. The most abundant active compounds are the cannabinoids THC (Δ9- tetrahydrocannabinol) and CBD (cannabidiol). THC is responsible for most of the mind-altering effects of cannabis. CBD is the main constituent being investigated for treatment of epilepsy. At present, the number of published clinical trials is limited and they focus on severe childhood epilepsies (Lennox-Gastaut and Dravet syndromes in particular) rather than more common types of epilepsy. This clinical trial assessed the efficacy and safety of oral cannabidiol as an antiseizure treatment for patients with Lennox-Gastaut syndrome who had not responded to at least two antiepileptic drugs. Cannabidiol was added to patients’ existing treatment regimen. 171 patients aged 2-55 years participated in the study; they were randomly assigned to one of two groups. The test group received cannabidiol and the control group received a placebo for a period of 14 weeks. In the cannabidiol group, the monthly frequency of drop seizures decreased by a median of 43.9% compared to the placebo group’s reduction of 21.8%. 44% of patients in the cannabidiol group had a decrease of 50% or more in seizure frequency compared to 24% in the placebo group. Serious adverse events were reported in 23% of patients in the cannabidiol group and 5% of the placebo group. The most common serious treatment-related adverse events were increased biomarkers for liver injury (ALT, AST and/or GGT). This clinical trial investigated whether the addition of oral cannabidiol to existing antiepileptic treatment regimens would be safe, tolerated and effective in patients with severe, uncontrolled, childhood-onset, treatment-resistant epilepsies including Lennox-Gastaut and Dravet syndromes. 214 children and young adults aged 1-30 years participated in the study. After a four week observation period to establish a baseline, they received a 99% pure cannabidiol extract for 12 weeks. The number of seizures per month reduced by a median of 34.6%. Severe adverse events possibly related to cannabidiol were reported in 12% of patients; the most common was status epilepticus which occurred in 6% of patients. Long term effects of CBD usage and interactions with other medicines used to treat epilepsy are not yet fully understood. Further clinical trials are needed before any conclusions can be drawn on the use of CBD in epilepsy. Press CA, Knupp KG, Chapman KE. Observational uncontrolled study. N = 57. Min 3 months. 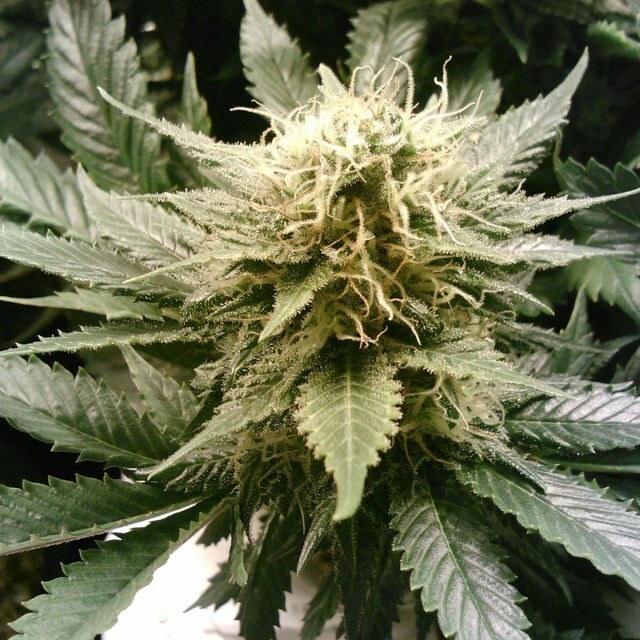 Duration of use of oral cannabis extract in a cohort of pediatric epilepsy patients. Trial of Cannabidiol for Drug-Resistant Seizures in the Dravet Syndrome. Devinsky O, Marsh E, Friedman D, Thiele E, Laux L, Sullivan J, Miller I, Flamini R, Wilfong A, Filloux F, Wong M, Tilton N, Bruno P, Bluvstein J, Hedlund J, Kamens R, Maclean J, Nangia S5, Singhal NS, Wilson CA, Patel A, Cilio MR.
Thiele EA, Marsh ED, French JA, Mazurkiewicz-Beldzinska M, Benbadis SR, Joshi C, Lyons PD, Taylor A, Roberts C, Sommerville K; GWPCARE4 Study Group. Tzadok M, Uliel-Siboni S, Linder I, Kramer U, Epstein O, Menascu S, Nissenkorn A, Yosef OB, Hyman E, Granot D, Dor M, Lerman-Sagie T, Ben-Zeev B.